Landlord contents insurance covers your household goods within a property you rent out, as well as non-permanent fittings such as curtains and blinds. Note that landlord contents insurance doesn’t protect your tenant’s belongings – tenants should to purchase their own contents insurance. If you’re a live-in landlord with a lodger living in your own home, check out our specialist insurance cover for live-in homeowners with lodgers instead. 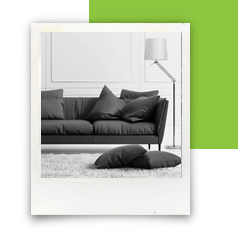 If you let your property furnished, having specialist contents insurance for landlords cover gives you peace of mind that all of the items at the property are protected should the unexpected happen. For example, if there was a fire, the policy would replace – on a new-for-old basis – items such as white goods, sofas, tables and chairs, beds, wardrobes, and other furniture. Customers taking out landlord buildings insurance get up to £7,500 per claim of contents cover when there is damage which affects the building at the same time. If your rental property is unfurnished, this amount may be adequate to protect your contents, however it’s important that you check this level of cover is adequate for your situation before deciding that additional contents cover is unnecessary. With HomeProtect, landlords can take out contents insurance on its own, or as part of a combined landlords buildings and contents policy. Need contents insurance for your rental property?